It's the little things that make all the difference right? That is such a smart idea! The tip out sink drawer is great but I would be ecstatic over the pull out spice rack! I get so annoyed when I can't find a spice quickly. Great ideas!! I love the idea of roll out cabinets!!! Fun seeing this little DIY - a small thing with a big impact! Keeping this in mind for ur new house!!! Love this kind of stuff!! So happy you had great weather for the wedding!! Have a fabulous Monday sweet and beautiful woman!! Such a great space-saver too! The sink is looking so pretty and sleek! What a great idea to save some space! Awesome idea and I bet you're so happy you knocked one project out! I so want a roll out spice rack like that! Ok, I'm in love with ll the functionality of these cabinets! I love my trays at my sink, but the spice rack is now calling my name! And I really must have our pot drawer redone, looks like my husband has a lot of work to do! Such a great DIY to help with counter space! Our pots and pans are a mess too, this would be so great in our kitchen too! Glad the weather was beautiful this weekend! Happy Monday! Oh I absolutely LOVE that idea especially for limited counter space!! It's just so nice to have everything in the kitchen organized! Happy Monday lady!! I love easy little projects like this that end up making such a big difference! That spice rack is genius! I honestly wouldn't have thought to do this, but this makes total sense and is definitely more functional and practical! I, too, have all my pots and pans thrown into one cabinet and it's always such a hassle to get a specific one; I have to empty the whole thing out. I can't wait for you to share how you go about adding this feature to your kitchen because I'd like to do it myself! 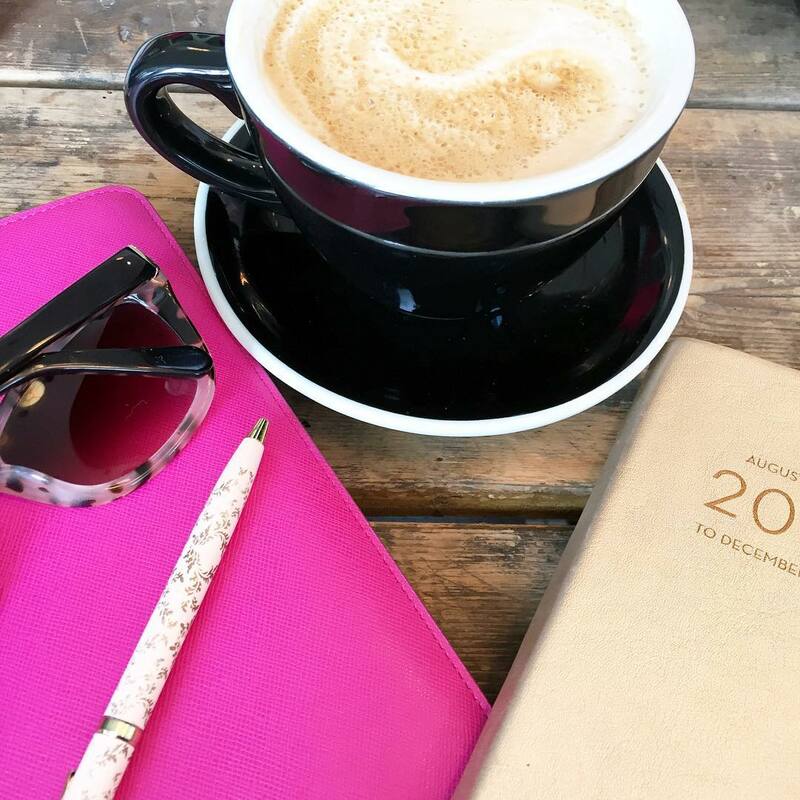 Thanks for sharing, girlie, and I hope you have a great start to your week! This is the best DIY! I don't know why that isn't just a standard thing either, makes it easier to not keep that kind of stuff on the counter! It looks fantastic and so useful!! I love my pullout spice racks!! Best thing in my kitchen. This is the best idea! It's great to have all those little items put out of sight yet so accessible to use! OH my goodness! Talk about a great idea for a really common wasted space in the kitchen! We have those little fake drawers all over our house and this would be the perfect way to make them more useful! I hope that the rest of your projects are just as successful! 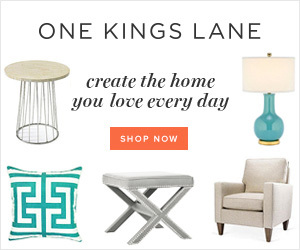 I love all three of those DIY ideas! Especially the spice rack one. I'm always looking at all of my spices wondering how in the world to make them more accessible. Such a great idea to make something completely useless totally functional! I also love the idea of a disappearing spice rack. And I think I am going to show my builder hubby that pots and pans pullout...we so need to do that with one of our cabinets! Such a nice quick change, and the fact it was pretty simple to do makes it even better. 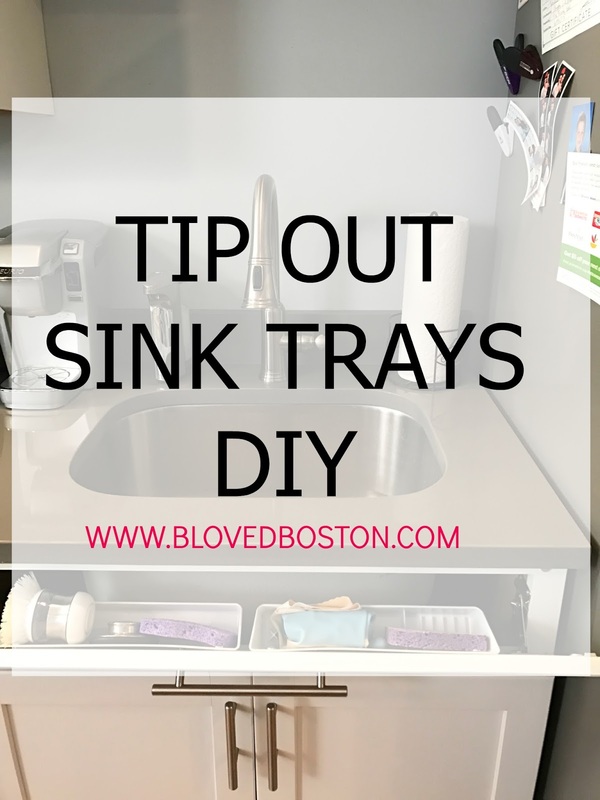 I always wanted to do this before we had an apron sink - what an easy DIY! 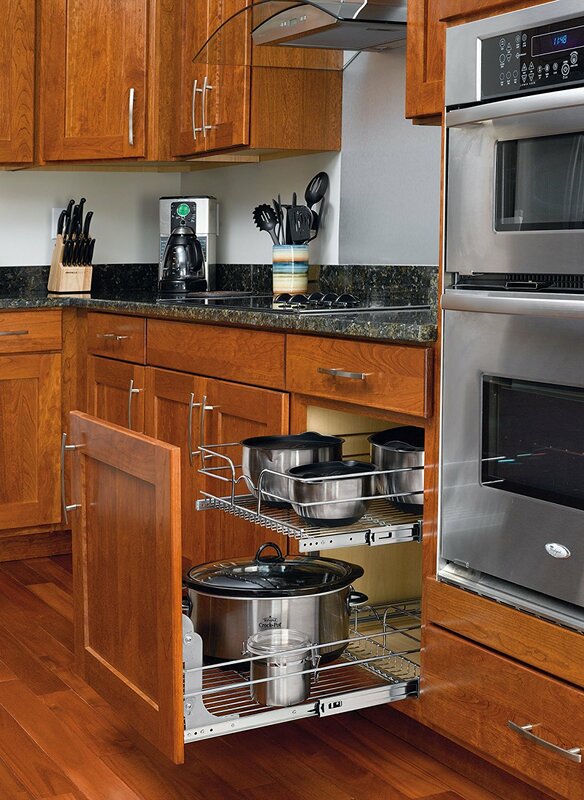 You will love the pull out rack for your pots and pans - that's one of my favorite features in our kitchen! Ok that is so brilliant!! What a great idea! Love the functionality. This is genius! I love that you guys did this and I am making Josh do this as soon as we move! Love this idea... so convenient!! I love this and am saving this for a rainy day. That is such wasted space, as is the space taken up by the sponges and what not! Perfect solution. Oh my gosh, I would have never thought to do this but it's such a great idea!! Definitely helps with the clutter! 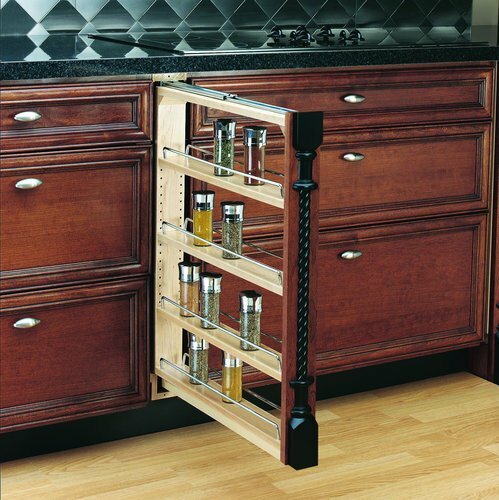 This pull out spice rack is such a great idea. What an awesome idea and a great way to save space! I am totally doing this for our spice rack... Amazing babe! Happy Monday! I have a pull out at my sink like that.. I love it - perfect for sponges & pot scrappers! This is such a neat idea! I'm with you...every kitchen should have one of these, along with a spice rack...I mean, common sense. LOL! Great job on the different drawer. I would love one of those in my kitchen and I really want the pull out drawer! It might seem like such a small task, but what a difference having somewhere to store all that makes right??? I love the idea of a cabinet to have the drawers pull out of pots and pans! This is awesome!! I remember my parents had cabinets under the sink like this, and I never understood why it was wasted space. Great job! I remember when we moved in our house and discovered the tip out tray... I was ecstatic! Lol. We had built our own house but had no clue that we were going to have one of those. I still love it to this day! And I'll be following along with you on your pots and pans journey... I would LOVE something like that in our house! Oh my goodness, this is genius!! Definitely adding this to our to-do list. Happy Monday! You and Gary are so handy! I love how your new little cabinet turned out and am sure it will make your kitchen feel even more organized! the kitchen that came with the house is a bit dated.. we have no plans with renovating right now.. but maybe one day.. these ideas will come in handy. Oh my gosh this is awesome! And I love the roller drawer and spice rack. Genius! I've had this pinned on Pinterest for a long time! I think you've finally inspired me to do it. Such a functional space! I absolutely love this idea! Youre so handy! We have one in our kitchen but not under the sink so we use it for pencils and pens haha Definitely want to do this under the sink now! We need to do this at my house too! I hate having sponges on the sink/counter so this would be a great alternative! I plan on adding one of these to our kitchen once reno is underway! My MIL just bought a new house and they have a pull out spice rack! So jealous! Funny how something so small can make such a BIG difference. We have a lot of plans for the house too this Summer, I can't wait to get them done! I'm so impressed with your DIY skills! Love this idea! Wow I had no idea it was that easy to do. Something to think about!! 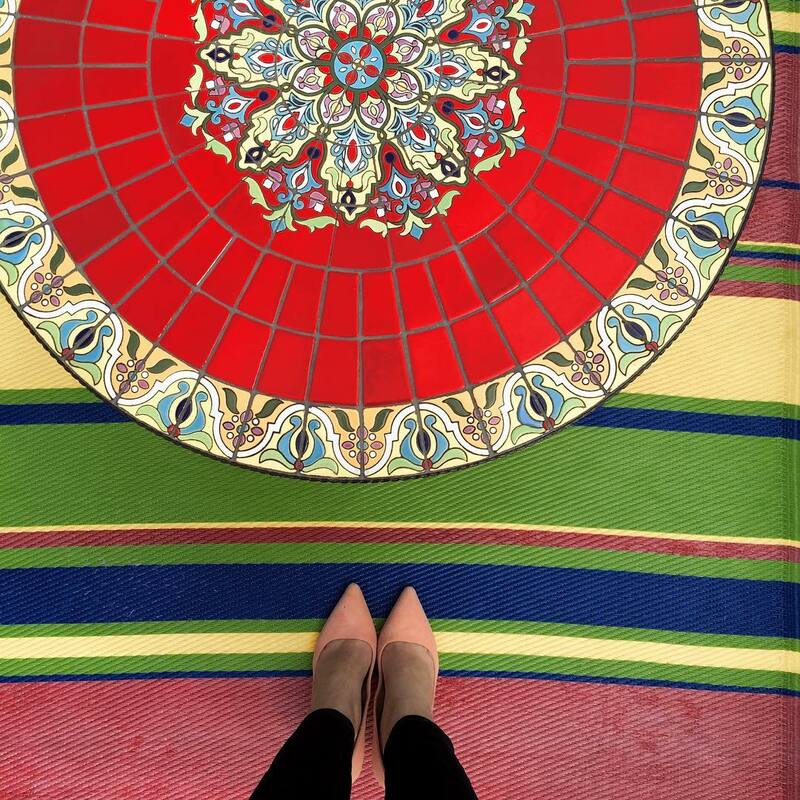 This DIY looks like it was incredibly easy and so worth the minimal effort to get it done! We've got a farmhouse sink in our kitchen so we wouldn't be able to pull off the DIY there... but my bathroom is another story. It could totally be useful there, too! This turned out SO well!! I had no idea how easy this is. I want the pull out drawer--that's perfect for sponges and such. Good to know!!! We have a huge drawer in our new island that I wish so badly for a tip out drawer like this! But when we ordered our cupboards they told us it was expensive... so we never looked into it! But heck, $25 isn't a bad price at all! I'll have to put Michael to work! ;) Thanks for sharing!